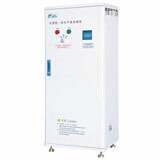 This special variable frequency converter (AC drive) for multi-pumps in constant pressure water supply, combines with the universal advanced hardware resource which was developed as the high performance variable frequency converter (AC drive) according to the market demands, it can drag a maximum 4 units AC motors(2 units for cycle start) without water supply controller/card, use one PID regulator to control the pumps through the feedback by pressure sensor, while a single one variable frequency pump can't control the flow range precisely. 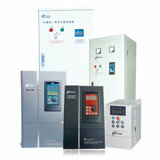 It offers excellent control solution and drive for customers in water supply and HVAC industries. • Comprehensive water supply solution, flexible configuration for general pump, fire pump, dormancy pump, easy achieve to automatic cycle pumps mode(2 units AC motors) and fixed-pumps(4 units AC motors) for water supplying. 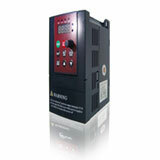 • Switching the pump according to its working time to avoid attrition unequally. • The system adopt one variable-speed pump and more constant-speed pumps (maximum 4 units) while the flow range can't be adjusted entirely by a simple variable speed pump. 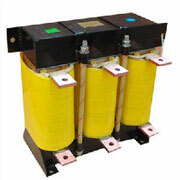 • Turn on/off subsidiary pumps according to the technical specification. 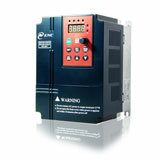 Control the variable pump to allow flow changing continuously.